Body Piercing in Lancaster, Ca. Many people are misled to believe it doesn't matter who does their body piercings. This could not be further from the truth. In my community of Lancaster, Ca. I receive at least a half-dozen calls every week from customers that were pierced at tattoo shops, by tattoo artists who had no problems taking their money at the time but when it came to proper aftercare or answering follow-up questions they could not be bothered. If you really believe someone that tattoos and body pierces is equally dedicated to both and that making 30 to 50 dollars off a body piercing is the same to them as doing a $300 tattoo, I have a bridge to sell you! 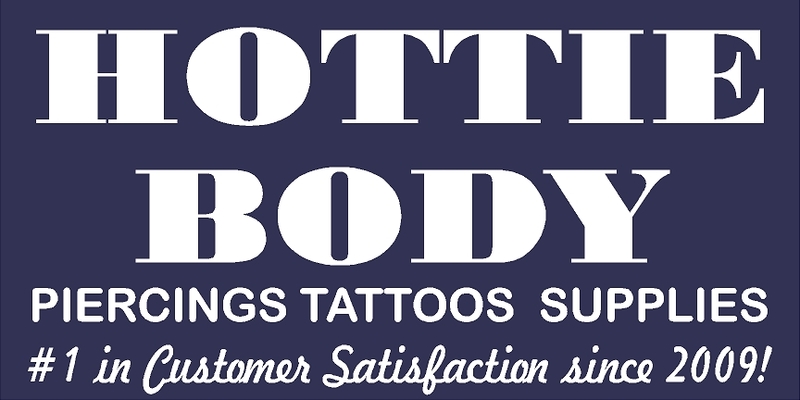 At Hottie Body we are perfectionists and do every body piercing right the first time - with over 35 years combined body art and medical experience. In my community there are very few (if any) dedicated body piercers working in the Antelope Valley except the ones at Hottie Body. We put body piercing FIRST and are more interested in doing it right the first time (and following up to insure proper healing) than just making a quick sale. Remember, as much as the wanna-be piercers want you to believe it, there is a difference - a big difference between how a real body piercer does it and someone who just does it because they don't have a tattoo to do! Those of you that had the wrong body jewelry used, or it was done without sterilization, or crooked and you tried going back to that tattoo shop to discuss it, you KNOW what I am talking about. The next time you need a body piercing save yourself the time, trouble and the extra money (we are usually less than the tattoo guys) and come into our shop and let a caring professional expert take care of you. At Hottie Body, we really do treat you like family and everything we do is backed by our 100% Satisfaction Guarantee. I had a tattoo done there and i love it. It took the artist longer to draw and set up then it took for the actual tattoo. The price was awesome. I will be going again again.